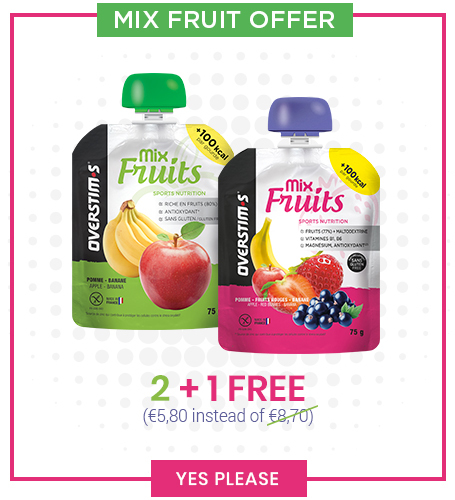 Our range of products: before a workout, during a workout, after a workout applies to all athletes, the leisurely athlete seeking healthy energy to the high-level athlete for whom nutrition is one of the parameters of performance. 35 years after our inception, we are proud to still be by your side to help you outdo yourself while respecting sport health and sports ethics. * In Great Britain, Ireland, Austria, Belgium, Germany, Italy, Luxembourg, Metropolitan France, Monaco, Netherlands, Portugal, Spain and Switzerland. 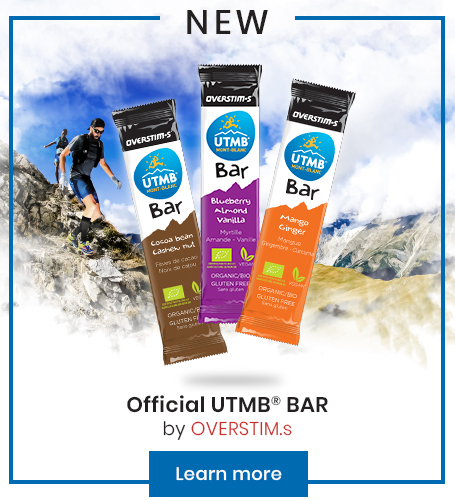 ** OVERSTIM.s products are designed and manufactured in France, with the exception of the Authentic Bar and the Electrolyte Drink (European Union), textiles and accessories (China and Spain).